A Georgia university is joining the growing trend of colleges building life plan communities near their campuses. Rome, Georgia-based Berry College announced plans earlier this month for The Spires at Berry College, a $130 million development featuring 170 apartment homes and cottages, an extensive amenities package and a full suite of health care services. The project, which is expected to be completed in 2020, will be nestled near the heart of the largest college campus in the country. Berry College boasts a 27,000-acre campus. Senior Housing News spoke with Morgan Lamphere, vice president of marketing for The Spires at Berry College, for more information on the project. A rendering of The Spires at Berry College, a planned senior living community on the campus of Berry College in Rome, Georgia. Senior Housing News: Where is the funding for The Spires coming from? Morgan Lamphere: The initial seed capital for the community came from a loan from the Berry College Endowment. The College had a strong level of demand from alumni from around the globe that wanted to return to Berry College to live in retirement. After doing a great deal of research on different types of senior living communities that would best serve the college, the college enlisted Greenbrier Development to oversee the project, and Greenbrier Senior Living to oversee management of the community once it opens. Now that the community has reached the necessary goal for pre-sales, the finance team at Ziegler Investments will seek bond financing to cover the costs of construction. The community is a not-for-profit entity, separate from Berry College, so the bonds will be issued by Floyd County and will be tax exempt. What was your pre-sale goal? Seventy percent, or 119 of 170 units. It is fairly common for communities that are financed through tax exempt bond financing to require at least 70% pre-sale deposits in order to go out for financing. Why this is a good opportunity to develop a senior housing development on the Berry College campus? The College felt like this community would bring additional work opportunities for the students at Berry. More than 95% of the students at Berry work, and they work in positions that vary from landscaping to food service to management and finance. A community like The Spires gives students a variety of work opportunities such as nursing, hospitality, administration and more. Additionally, the residents who live at The Spires can provide a number of mentorship opportunities for the students at Berry. Many are already active participants in the Berry College Integrity and Leadership program, which pairs an experienced mentor with a group of Berry students for the purpose of discussing ethics in business. Are there plans to work with the students, the college or faculty on programming? Students at Berry College are already involved with the community as marketing interns and event assistants. Faculty at Berry have been involved in some of the affiliations that the community will have so that the relationship between Berry College and The Spires is beneficial for all. The college itself already has a robust offering of athletic, educational and cultural entertainment that The Spires residents will enjoy. Particularly exciting is that this is the first time a life plan community has been built in the heart of a college campus. The residents at The Spires can walk about one fourth of a mile and be on the main campus enjoying walking trails, dramatic performances, eagle watching and more. Will The Spires be an opportunity to house retired Berry College faculty? I’d also be interested in learning more about the marketing plan for the development. Retired faculty and alumni have been very attracted to the community. But educators in general have had a greater affinity to The Spires than our company, Greenbrier Development, has seen in other places around the country. At The Spires more than 60% of our future residents have a background in education. This has greatly affected the way we market the community. We’ve worked with a variety of retired faculty and education groups throughout Georgia and beyond to share the vision of The Spires. Additionally, our lunch and learn events that we’ve held in Marietta, Big Canoe and Rome have been very effective in bringing new deposits to The Spires. Right now we are wrapping up our pre-sale period of providing pre-construction benefits, so prospective residents who want to make a reservation deposit can do so and lock in the lowest entrance fee and monthly fee amounts. What amenities should residents expect? The community will provide a host of amenities such as an indoor salt water pool, community center, arts and crafts studio, three dining venues, 24/7 security, health clinic and access to the many amenities on the Berry College campus such as the 40-plus miles of walking trails, The Cage fitness classes and many academic, athletic and cultural experiences. We’ll offer the latest in technology including high speed internet and WiFi throughout the campus and advanced nurse call systems. What health care services will Greenbrier bring to The Spires? The community will provide a health clinic for the residents that will be staffed by nurses and overseen by a physician. The community will also provide private accommodations in assisted living, memory care, skilled nursing and rehab suites in case a resident has a change in health. 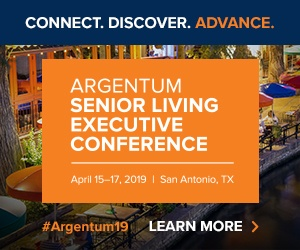 Interested in learning more about the trend of universities and senior living communities co-existing? Click here to access the complete Senior Housing News report “Inside The Future of University Partnerships in Senior Living,” which takes a deep dive into the topic of university partnerships in senior living — from the successes to the failures — and reveals why creating strong ties with a university is one of the smartest moves a senior housing provider can make.